We polled the locals to bring you their best moving to Las Vegas advice. Here’s what they had to say. Our locals want you to know a few things about living in Las Vegas before you toss your winter clothes and start packing for your new home. Yes, it’s all shiny and bright, but there is a bit of an underbelly that you’ll have to accept before you send out the save-the-dates for your housewarming party in sin city. 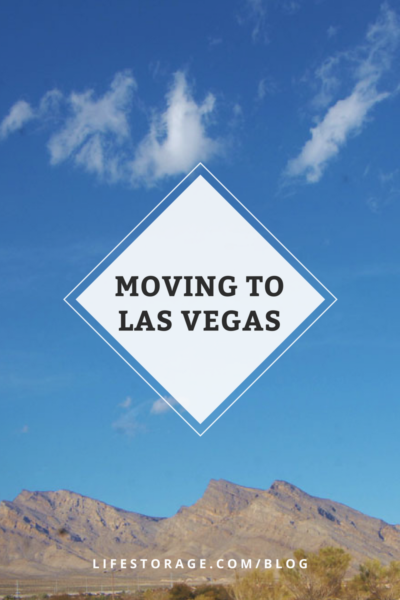 No matter if you are moving to Las Vegas to get a fresh start or for a new job opportunity, there are things that you need to know to make it a smooth transition. Locals will never know you just moved into town once you finish reading our guide to moving to Las Vegas. 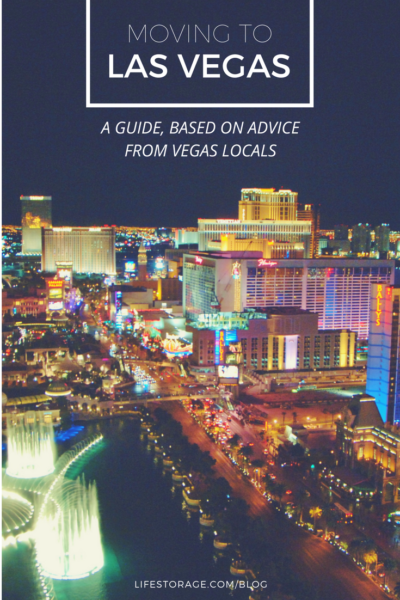 In surveying over 100 Las Vegas locals from January 22 to January 26, 2018, we found some of the best tips to make your move to Las Vegas as easy as possible. Read on to hear the results. The weather is a hot topic when talking about moving to Las Vegas so let’s get the important stuff out of the way immediately. While summer may be unbearable at times, the brutally hot periods are generally confined to July and August. Monsoonal moisture arrives in the valley in late summer and begins to cool temperatures down by September. It does not rain much in Las Vegas but a surprise shower can arise at almost any time of the year, but you will rarely see a snow shower. Before you toss all of those nice sweaters that you’ve collected, you should have a good idea of the average temperatures in Las Vegas. Buy at least five pairs of shorts, because frankly, you might as well load up on the vitamin D with all of the sunshine. The climate in Las Vegas begs you to take it all in. From March through November there is a good chance that you’ll be enjoying the sunshine. However, right around Memorial Day, you’ll realize that the comfortable walks around the neighborhood will become unbearable. The heat will settle in until about Labor Day. Like a stereotypical summer calendar, your own climate clock will be dictated by the thermometer during this time. You won’t shutter your home and live like a hermit; it just means that you’ll take more time to find the closest parking spot and your air conditioner will run continuously. Your car will be a hot box and you will sweat – a lot. They say it’s a dry heat. For what it’s worth, don’t listen to that. Just prepare yourself for it to be hot and dry. Load up on sunscreen, lotion and lip balm. Once you accept it you’ll make it through those two extreme months with ease. You’ll hardly notice it unless some other newly transplanted soul complains about the Las Vegas heat to you. We get it; it’s warm. Now let’s get back to work. December and January will have their share of cold days and you might need a light winter coat. If you are moving to Las Vegas from the Northeast or Canada, just carry-on. You’ll be happy you forgot your snow shovel. Locals get concerned with wind storms as they tend to pop up regularly throughout the year regardless of the season. It is important to understand that with so much development in Southern Nevada, these storms aren’t as bad as they once were, but dirt and sand will get everywhere. The sand is an inconvenience, but not a major issue. Summer will bring monsoonal moisture to the valley and you’ll see a few thunderstorms along with some very impressive cloud formations that dump a lot of rain in short periods of time. This is a beautiful time of year, but watch out for flooding. Locals deal with their share of it as the flood control system is not quite as good as it should be. Do not cross the raging river that has formed at the end of your street. Don’t stop and walk over to it to test its depth. Just go around and find another way to get where you are going. Cars getting stuck or swept away is a real thing in the Las Vegas Valley. You might have to keep quiet about March through early May as well as late September through November in Las Vegas if you want your new paradise to remain uncrowded. The weather is about as good as it gets for anyone looking to spend time outdoors. Your windows will be rolled down, light sweaters will come out at night and the sunshine will be bright and plentiful. You’ll need sunscreen, but that’s only because your outdoor activities will include hiking in Red Rock Canyon or enjoying one of the Farmer’s Markets around town. The city of Las Vegas has a population of 632,912 per the US Census Bureau, but Clark County Nevada has a total population of 2,155,664. So where are people living? Well, Las Vegas proper is just a small slice of the bigger pie that is Clark County. But don’t worry! Your mailing address will still be “Las Vegas” unless you live in North Las Vegas or Henderson. According to the US Census Bureau, Las Vegas is about 43% White, 31% Hispanic, 12% Black, 10% Asian and 4% other. There is a large population of Hawaiian and Pacific Islanders. There are so many Hawaiians in Las Vegas that it is often referred to as the “Ninth Island” and flights to and from Hawaii are among the best priced in the US. If you’ve visited Vegas in the past, you’re probably familiar with the tourist corridor. It’s the area along Las Vegas Boulevard where all the hotels are located that gets most of the publicity, but it’s just a small part of what Las Vegas life is all about. Locals don’t spend a lot of time here because everything you need and want can be found right in your neighborhood. However, if you love world-class food and top-notch entertainment, you may still visit the strip. Being single in Las Vegas means you’ll be dancing at Stoney’s Rockin Country Bar at Town Square or meeting friends for drinks at Public School in Downtown Summerlin. Where you rest your head is just as important. There is no state tax in Nevada! If you’re moving from a state with high taxes, that alone will make you feel like a winner. Plus, when you realize the cost of living is much lower than expected, you may dance in the streets. Well, hold off on that until you get all the details. While the cost of living in Las Vegas is relatively low, it is important to understand that salaries are also lower than major cities. The average salary in Las Vegas according to Payscale is approximately $48K which is right at the national average. Compare that to the average in Los Angeles at $62K, San Francisco at $85k and New York City at $68K. If you examine the cost of living, the average cost of a one bedroom apartment is $810 with a typical family home topping out at around $1,328 per a report by RentRange. The average cost to rent a one bedroom apartment in LA is $1,949 and you can easily double that for an actual single-family dwelling. San Francisco is much more expensive at $3,257 for a one bedroom rental. The national average to rent a one bedroom apartment is $977. Rent is cheap but buying real estate is even cheaper. Rent is very affordable in Las Vegas compared to the national average and when directly compared with other major U.S. cities. The median Las Vegas home price is currently $268,000 according to the Greater Las Vegas Association of Realtors. If you consider the average cost of a home in any major city, you can see that the American Dream is alive and well in Southern Nevada. Buying a condo is even more affordable at an average price of $143,000. Where you’ll work and just how much money you’ll make all depends on your chosen career path. It was once said that some of the wealthiest people working in Las Vegas were the valet attendants at the luxury hotels. They made a great income and then the hotels decided to charge for parking and those plush jobs disappeared. In 2016, 44 percent of the total workforce was supported by tourism so there is a good chance that you’ll be grateful for all of the tourists. However, of the top 25 employers in Nevada, only 11 are hotels or casinos. What that means that as much as the city is dictated by tourism the opportunity to work outside that industry is still very good. During the recession, the once scalding hot job market in Las Vegas turned sour, but those days are over. Today the market is growing and jobs range from tech to hospitality. The tourism industry still drives a lot of employment and locals say that for every hotel room built, three jobs are created. The rejuvenated housing market and the expanding of existing resorts mean an influx of constructions jobs. Similarly so, companies moving to southern Nevada due to the favorable tax situation means an influx of tech jobs. The Kaufman Index ranked Las Vegas as the number five destination for startups. In other words, the job market is thriving. Unemployment is at 5.2% and continues to fall. Job creation numbers are consistently moving in a positive direction. Will you send your child to a private school or a public school? Within those public schools, will you choose a magnet school or a charter school? The Clark County School District does not get high marks across the board nationally, but there are bright spots within the entire district. Clark County ranks as the most diverse school district in Nevada. There are high performing private and charter schools in Las Vegas, but with those choices come budgetary restraints and geographic limitations. The University of Nevada at Las Vegas (UNLV) is located in the heart of the city. Although it’s not ranked high among national schools, it does specialize in preparing students for the hospitality industry. The William F. Harrah College of Hospitality is often ranked as the best in the country and the options for jobs post-college are limitless in the tourism industry. Community College options for two-year degrees are limited to the College of Southern Nevada. However, the school has two campuses and numerous satellite extension facilities. There is a bus service run by the Regional Transportation Commission of Southern Nevada (RTC) – but it’s nothing to get excited about. There are no light rail lines to speak of and there is no reliable form of public transportation. If you are relocating from a city with established public transportation routes you will be disappointed. The Spaghetti Bowl is that mashup of concrete highways that intersect just slightly northwest of Downtown Las Vegas. This is where I-15, I-515, US 93, and US 95 combine to form a lot of traffic during rush hour. If you have to drive to The Strip, you’ll utilize Industrial Road/Sammy Davis Jr./Frank Sinatra to navigate the west side of the strip. Koval Lane and Paradise are better options on the Eastside. Do not try to drive on Las Vegas Blvd. Avoid the I-15, especially after 3:30 pm. Use the I-215 Beltway which goes around the city. US 95 is busy in the morning. If you live in Las Vegas and never go to The Strip you will be like most Las Vegas locals. Really, do you want to deal with the traffic, parking and high cost of everything? Well, yes, you actually should consider some things. The Las Vegas food scene is impressive and it is as good as any big city. That includes LA, NYC and San Francisco. As much as you may not want to rub shoulders with 43 million tourists – they may be onto something. Your new hometown has endless options for entertainment. Even if you stay off The Strip, you’ll soon discover all the reasons why locals love the area. From the Smith Center and Vegas Golden Knights, you can bet your social schedule will be chock full of appointments. Toss in the music festivals, the touring shows and the parties in the parks and you’ll be shocked at how much there is to do. The Smith Center for the Performing Arts is located near Downtown Las Vegas and is a World Class performing arts center. It is home to the Las Vegas Philharmonic and the Nevada Ballet Theatre. Broadways shows, intimate Jazz performances and seasonal performances round out a calendar of events to rival any major city. Much like the world-class dining found on the Las Vegas Strip, some events are impossible to avoid just because they are located on Las Vegas Blvd. Cirque du Soleil is another attraction that cannot be missed. With seven shows to choose from, this French-Canadian circus is a mainstay that can fulfill any date night requirement. Soon after you move to Las Vegas you’ll discover that this valley has a rich history that goes well past the organized crime and crap table tales told in Hollywood movies. Before the bright lights, settlers looking to move west made this area their home. The Springs Preserve and its interactive exhibits not only narrate the history of the region but also work to explain how the area is adapting today. This family-friendly attraction offers outdoor trails as well as indoor exhibits and a large calendar of community events. If you are moving to Las Vegas with young children, there is a good chance that the Discovery Center will be your home away from home. Interactive exhibits and a window into the natural world will draw your family back over and over. While the exhibits are geared to the younger population you’ll find plenty of things to do as your children are exploring. You’ll get a feel for what Las Vegas is all about as the Golden Knights have turned Sin City into a hockey town. The arena is loud and the intensity in the crowd is just as high as it is on the ice. This expansion team has taken the city by storm and you’ll soon be wearing a Golden Knights hockey sweater and chanting the name of the opposing goaltender. NFL football will soon call Las Vegas home and the Oakland Raiders will relocate to the Las Vegas strip. A new football stadium is being constructed near the Mandalay Bay Resort adjacent to I-15. Football should arrive in Las Vegas by the 2020 season. Just a few minutes from the center of town, the Red Rock Canyon is home to endless trails that cater to every type of outdoor enthusiast from young to old. From extreme rock climbing and bouldering to paved interactive trails, this gem in the desert is one of Las Vegas best-kept secrets. Bike ride around the park or seek out some shade in a slot canyon. This is the southwest at its best. Are You Moving to Las Vegas? After hearing it from the locals, we hope you are as excited as we are about living in Vegas. We know the process of relocating to a new city can be stressful though. That’s why we offer self-storage rentals in a variety of sizes and access hours to help smooth the transition. You can also take advantage of our free truck rental available to all Life Storage customers. What else has you stressed or excited about moving to Las Vegas? Share with us in the comments below!